CeramTec has restructured itself within a very short period of time to meet two clear goals: lower complexity and higher value. The company is now aiming to lead the market. At first glance everything looked good. CeramTec, an international specialist in technical ceramics, was posting profits and offering a broad range of high-performance products. 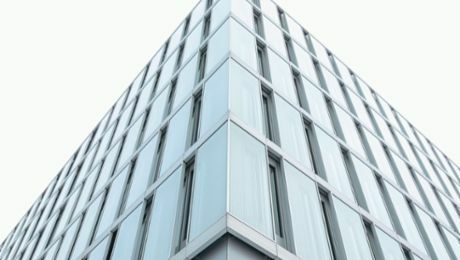 This long-standing company based in the southern German town of Plochingen had not seen any reason to make changes for quite some time. But even the best engineering expertise is not enough in itself to guarantee success on the world’s markets. When Henri Steinmetz became CeramTec’s Chief Executive Officer in March of 2016, he proceeded to take a close look at how work was done at the company – and saw dark clouds on the horizon. “We were in a very good position, and had a sound foundation. But it was also clear that we would need to evolve.” And prompt action was called for. The sole shareholder, the Cinven private equity company, wanted to see a marked increase in value in the near future. Steinmetz wants to shift the company’s leadership from technology to the market. “What is the point of making the best product A when the market is looking for product B?” asks this experienced manager. CeramTec was used to having customers come with their own ideas of what its products should be like. But now this Swabian company has to seize the initiative in order not to cede ground to the competition. “We need to better understand what our international customers will be wanting in the future and to fulfill precisely these wishes – no more and no less,” says Steinmetz. Those customers will certainly be looking for high-performance ceramics – even though few people are aware of the many places they are found. “You’re likely to encounter these materials first thing in the morning when you run water in the bathroom sink,” remarks Steinmetz. Ceramic disks in faucets ensure that water flows at the desired rates and temperatures. Steinmetz can list many other applications: in cell phones, coffee grinders, airplanes and satellites, LED lamps, in many automotive components such as distance sensors, and in transparent form to protect the glass in floor lamps. This mineral substance is especially suited for applications with extreme requirements that cannot be met by other materials like metals or plastics. CeramTec offers 20,000 different products and components made of technical ceramics for use in industry and medicine. “If you get a hip replacement anywhere in the world, chances are it’s a CeramTec product,” says Steinmetz. Ceramic components from Plochingen are implanted around every 30 seconds and used in about half of all hip prostheses. But the CEO expects the greatest growth to be in Industry 4.0. Because of their special heat dissipation and electrical insulation qualities, ceramic materials have an edge over other circuit carriers made of resin, plastic, or composites – and are therefore ideally suited for transmitting ever larger amounts of data in ever smaller devices. Steinmetz, who was born in Luxembourg, has gained experience with many companies that have long traditions on international terrain. 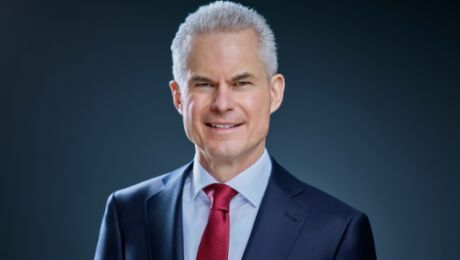 Following management positions with General Electric, Sulzer AG (Switzerland), and Great Lakes Chemical (USA), his most recent position was President and CEO of Rütgers, a Belgium-based producer of chemical raw materials. All of these companies go back 80 to 180 years. And now he is at CeramTec – which was founded more than a century ago. It has 3,200 employees at 24 sites around the world, and acquisitions have played a major role in its current size. The company used to have 14 units running its various operations. “Many of them were efficiently structured,” says Steinmetz. “But we are one company, and cannot do everything 14 different ways.” To attain his goal of leading the market, the CEO wants to exploit the potential of standardization. “That means streamlining, accelerating, harmonizing structures and processes, and guiding the company on the basis of uniform key parameters – and precisely the right ones.” Ten months after assuming his position, Steinmetz put a new organizational structure into effect. In essence, the idea is no longer to think in terms of divisions but rather to serve the company as a whole. Instead of 14 vertically linked units, there are now only two organizational entities. The “front end” is out on the market. It finds out what customers want and develops new solutions that promote international growth. The “back end” ensures efficient production and key account management to handle orders quickly – while naturally keeping costs to a minimum and providing excellent quality. One and a half years later, Steinmetz presents a positive progress report. “In 2015 we had pre-tax earnings of 164 million euros. For 2018 we set ourselves the goal of 200 million euros. Right now we’re ahead of plan and might even reach our goal a year early.” In his view, the key to putting the general strategy into practice consists of reaching concrete smaller targets that all feed into the big picture. They should be ambitious, but not out of the question. “It’s a little like a high jump,” he says. “If the bar is too high, people will run underneath it. It has to be at a level that’s feasible. A little experience is probably helpful when it comes to setting the right goals.” Six months were all that were needed to meet the cost-reduction goal. And the successful results that quickly became evident generated new motivation for the next tasks. With respect to digital transformation, Steinmetz thinks that CeramTec still has a lot of ground to cover. “Standardization lays the foundations that we need for digitalization and automation. If we’re running a distance of one kilometer, we’ve only completed the first 200 meters. And we’re about to hit a rather steep stretch.” Because speed is all the more relevant for digitalization, he definitely wants to maintain the current pace of progress. Or even surpass it. Resistance to temperatures of well over 1,000 degrees Celsius, electrical insulation, heat dissipation, wear resistance, corrosion resistance, and unusual hardness even in transparent form – all these qualities mean that technical ceramics are very special materials. They are used wherever metals and plastics run up against their limits. Many of these applications are in machines, or even in the human body. The strengths of high-performance ceramics can be put to good use here, and make many things possible in the first place. Examples include high-performance LED lamps or piezo injections in motors. When voltage is applied to these ceramic elements, they expand and thereby enable precision injections with high pressure. Ceramic materials are also ideally suited for medical purposes because they are well tolerated by the human body. Crystalline powder is formed into the requisite shapes and then sintered, i.e. heated at high pressure to temperatures below the melting point. This sintering process condenses the material, and CeramTec calculates these changes precisely in advance in order to achieve superior results.